I remember when I decided to start this site back in 2016 and was fairly new to the cryptocurrency ecosystem. Once I spent over 100 hours researching all facets of this new technology, I knew that cryptocurrency was the future. However, I had read so many scary articles about how people were losing their Bitcoin from so many exchanges, including the infamous Mt. Gox that notoriously lost over 800,00 Bitcoin (valued at around $473 Million at the time). As I dove down the rabbit hole even further, I came across “Cold Storage” and how it was vitally important for any person who takes their cryptocurrency holdings seriously. It made perfect sense, you need to keep your private keys in your possession at all times and have it stored offline, so it cannot be subject to an online hack or be exposed to nefarious individuals. It was at this time that I had the bright idea that I wanted to find a way to become a reseller for these wallets, as it seemed to me that this market was going to be huge. Logically, cryptocurrency adoption was inevitable and EVERY single person who owned cryptocurrency will need one of these cold storage wallets. The mere idea of someone being able to “Become your own bank” and the concept of permissionless finance was fascinating to me. And so it was, BitcoinLockup.com was born. As I started researching and buying these wallets to use for myself, I found the market trusted and used (at the time) only 3 hardware wallets: Trezor One, Ledger Nano S, and Keepkey. They all have their pros and cons, but there was definitely one that stood out above the rest, and it was Keepkey. Why? Well, the devices that Ledger and Trezor had available at the time were cheap, flimsy pieces of plastic that were difficult to use and had a horrible UX. 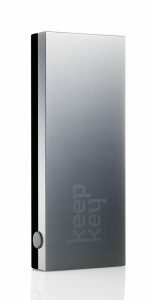 Keepkey felt like the top of the line, premium version that was being under served in the marketplace. In fairness, the altcoin support was far behind the other two when I was comparing them in October 2016. However, over time you start to realize that even with your trades and gains, that coins that have a higher market cap and network stability tend to be what you want to store longer term anyways. That’s not to say that altcoin support is not important, (because it is) but I know first-hand that is takes incredible resources and operating capital to run nodes and support these new coins and tokens that come out seemingly everyday. Not to mention the developer resources necessary to build and maintain a quality user experience, so I completely understand Shapeshift’s strategy. Now, onto the new Shapeshift platform! First off, I will say that they are currently in a closed beta, so I have not used it personally yet, but I’ve been researching it like crazy. If you want to gain early access to the beta before the masses, use this link to sign up. As an avid Shapeshift user myself, I have always enjoyed the simplicity and ease of use that using an instant coin exchange offered. I am now even MORE excited that it is going to integrate with my Keepkey and make managing my cold storage assets even easier. (Watch out Ledger and Trezor)! 1.) Shapeshift Trading – You can seamlessly buy, sell, or trade dozens or crypto assets directly in the platform. Trading is non-custodial, so there is no need to trust a third party. This is a MASSIVE plus and a differentiator from any other exchange out there. 2.) Hardware Security – Utilize the best practice of offline security. Retain control of your private keys while enjoying an intuitive web interface. This is the best of both worlds and I will add that this is not currently possible on any other hardware wallet platform currently. 3.) Real Time Market Data – Get real-time market prices and historical data without ever having to leave the interface. This means no extra tabs or historical charts from any other 3rd-party site that you have to toggle between to get the data you need. This allows you to enjoy a beautiful ad-free experience. 4.) Portfolio Performance – Visualize your portfolio performance through graphs, sparklines, and real-time value movement. View your dashboard balances at anytime, anywhere. 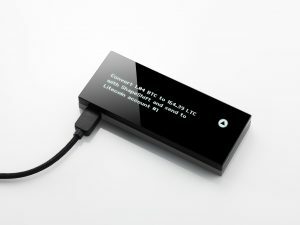 Your hardware wallet only needs to be connected for signing transactions. I’ve always been a firm believer that the quickest way to crypto mass adoption is to have a fluid, seamless, and extremely easy user experience. I have used virtually every hardware wallet currently on the market and there are always trade-offs and things you wish they had, but I personally believe that Shapeshift has cracked the code to exchanging, managing, and securing your private keys better than every other solution on the market. If you need any personal advice on the Keepkey device, please feel free to comment below or email me at the “Contact Us” page at the top and I’d be more than happy to help!